Following the release earlier this year of ‘Selected’, Alan decided to commission some extra remixes which are now being made available by Mute absolutely free! 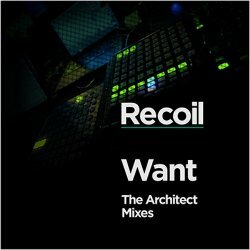 3 new versions of ‘Want’ (featuring Nicole Blackman) have been expertly put together by Architect to form part of a special download package released today. Architect is the creation of German mastermind Daniel Myer. In 1993 he founded the legendary electro-industrial/EBM project Haujobb. Since then he has made a name for himself within the electronic scene and initiated many other projects such as HMB, Newt and Destroid. Since 2007, he has been a permanent member of the renowned Swedish EBM band Covenant. Created in 1998, Architect and can be easily described as the most fascinating of Daniel’s projects. Focusing primarily on minimal techno, powerfully distorted sequences and razor-sharp breakbeats, he manages to create a unique hybrid of electronica with smooth ambient soundscapes, rendering the results suitable for both listening and dancing. Says Alan: "Having embarked on a series of live events earlier this year, I found myself re-visiting and re-working many of my favourite pieces. With this in mind, I also kept my ears open for interesting people to contribute to this process and quite early into the tour was introduced to Daniel and his array of projects. I spent many an hour in various hotel gyms, headphones connected, being strangely hypnotised by his work – in particular from Architect’s recent album ‘Consume Adapt Create’. I subsequently asked if he would be interested in taking part in some of the events we had planned and he and I struck up an instant rapport. His approach seemed to fit perfectly with what Paul Kendall and I were doing in the live arena, and that collaboration is planned to continue during Recoil’s forthcoming North American tour. The inevitable result of this new-found friendship elicited this set of recently-completed remixes of ‘Want’. No real guidelines were given – just that Daniel should do his thing to this track as it had never been remixed before and was crying out for some alternative treatments. I hope you enjoy these three variations on the theme and, like me, will appreciate the use of surgically placed sounds, haunting ambience and complex intelligent arrangements." Also included in the package: a new film to accompany Daniel’s main mix, using time-lapse photography and directed by the brilliant Dmitry Semenov. Dima’s captivating short film features Daria Kuznetsova & Sergey Kochetkov. Another extra is a downloadable photographic book, shot during Recoil’s European tour between April & May 2010 by Ivana Dvorska. There is also an additional bonus mix of ‘Jezebel’ by Ehron VonAllen.